Stay cool this summer in the Ralston Diego trousers. 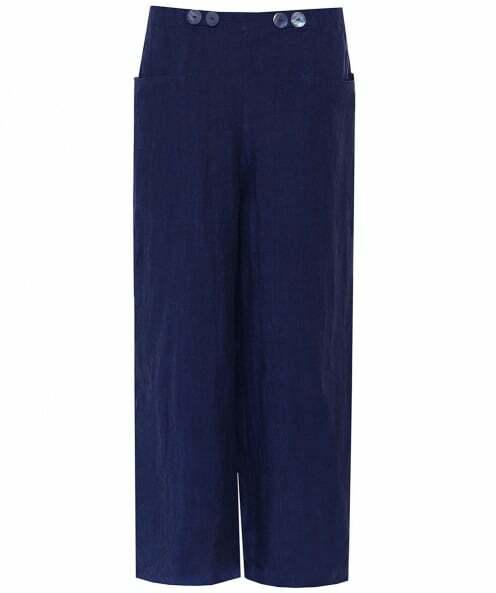 Spun from a breathable linen fabric, these trousers are the perfect addition to laid back outfits in warmer weather. In a pull on style, the trousers boast a half elasticated waistband and wide leg. They also feature two pockets and button detailing to the front for a stylish designer look.